The flattering cut, bright color, and flouncy skirt of this dress combine to make it a simple, yet stunning choice. The Textured Twirl Dress is made of a substantial textured fabric we love. 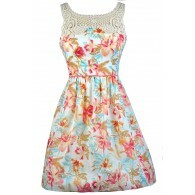 It has an empire waist, wide shoulder straps, and seams at the bodice that create a flattering shape. The attached skirt has a flouncy skater cut with a lot of movement--this is a great dress to dance and twirl the night away in. An exposed zipper in the back completes this look. 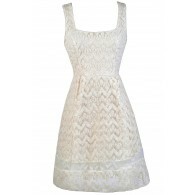 The Textured Twirl Dress would look nice dressed up with strappy heels, pumps, or wedges. It could also be dressed down for a casual day look with flats and an oversized bag. This is a great dress to pack on vacation because it can be worn so many ways. Details: Made in USA. Exposed back zipper. 95% polyester, 5% spandex. Hand wash cold or dry clean. Small measurements: Length from top of shoulder to hemline: 34". Bust: 34". You have added Textured Twirl Dress in Royal Blue into Wishlist. 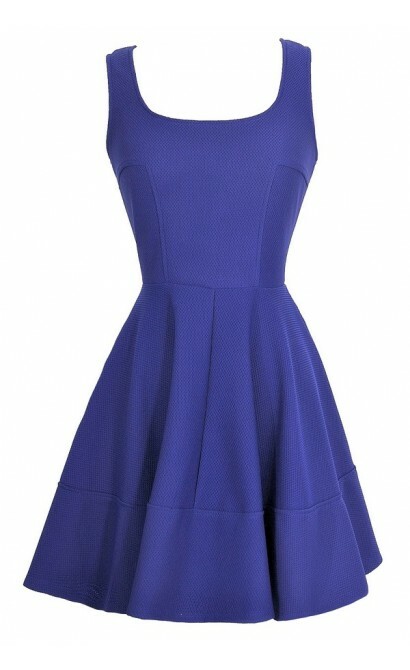 You have added Textured Twirl Dress in Royal Blue for Stock Notification. 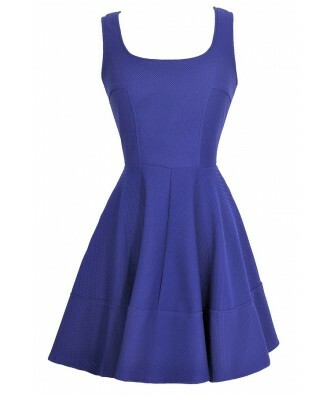 You have set Textured Twirl Dress in Royal Blue as a loved product. You have removed Textured Twirl Dress in Royal Blue as a loved product.